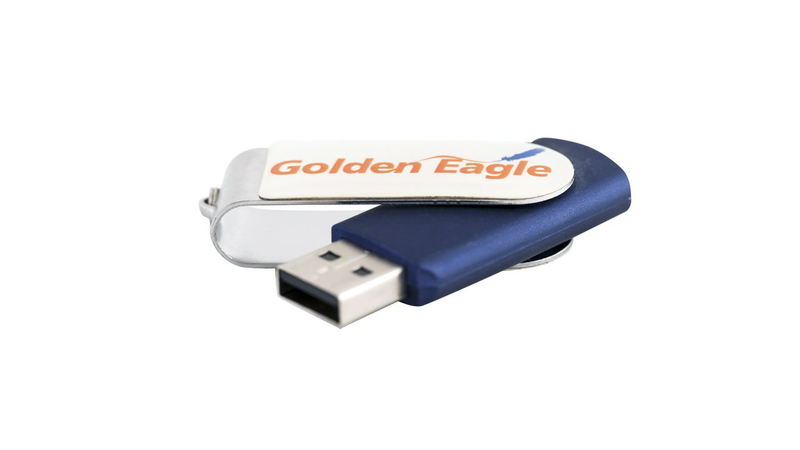 Myriad Global Media developed a new Golden Eagle branding concept which supported external Newsletters and other marketing collateral that could be distributed throughout the project timeline. 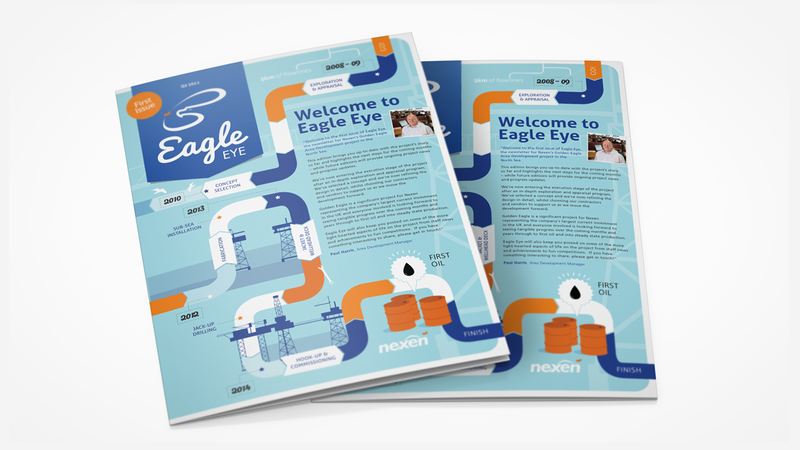 The Nexen operated Golden Eagle project produced first oil on October 30, 2014. Located 70 km northeast of Aberdeen, Golden Eagle is the second largest oil discovery in the UK North Sea. 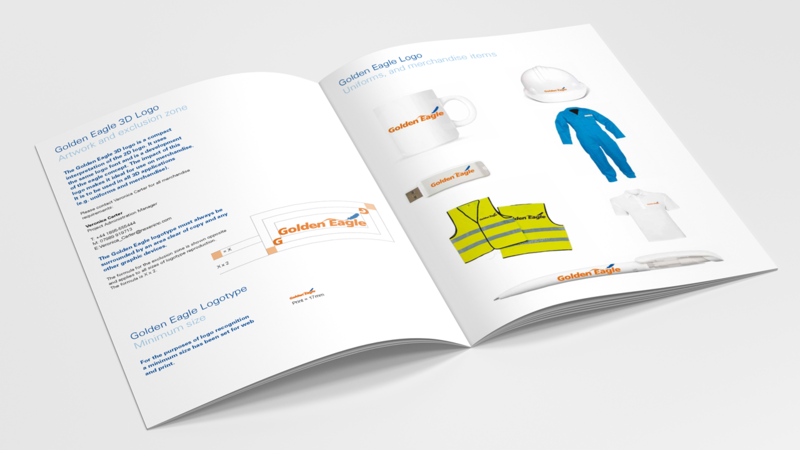 The Golden Eagle branding project had a broad range of audiences including also internally across the project team, contractors and Nexen worldwide; as well external groups such as the media, the industry as a whole and the local community etc. A broad range of engaging tools and techniques will be required to satisfy the needs of these audiences. Engage key officials underlining the spirit of collaboration on the project. 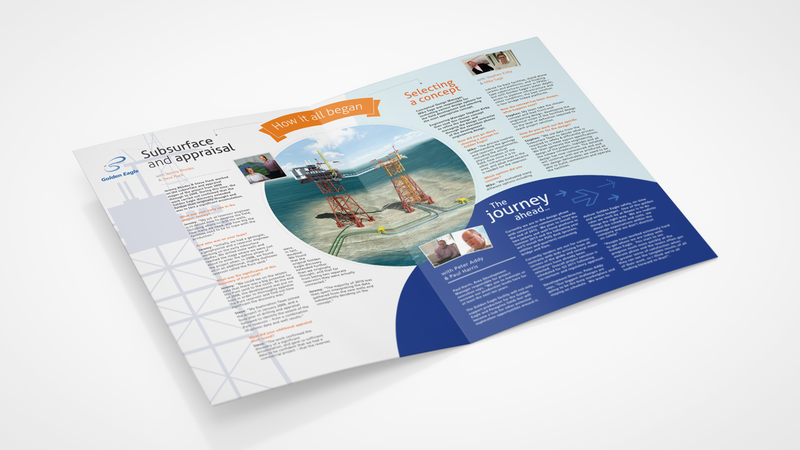 Illustrate the environmentally sensitive features of the design, project development /execution and the lifecycle operation. Illustrate how local business is benefiting from the development. Manage local expectations to a realistic level in terms of local jobs and revenue etc. 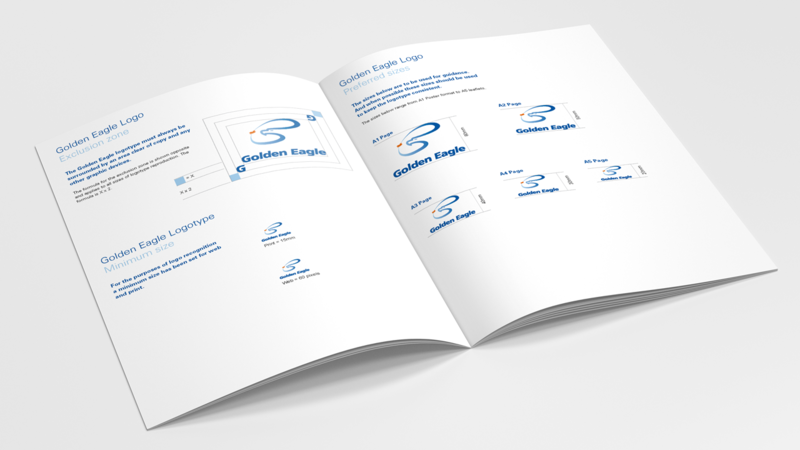 Created at the outset of the project, the Golden Eagle motif integrates elements of Nexen’s corporate identity, including the colouring and maple leaf, and clearly underlines the brand’s ownership. 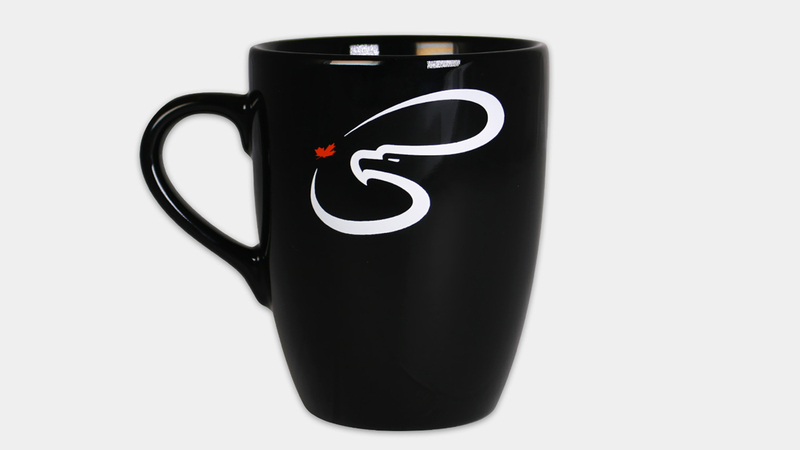 The logo is at the core of the Nexen brand, and features across all other materials, such as newsletters and custom USB sticks.